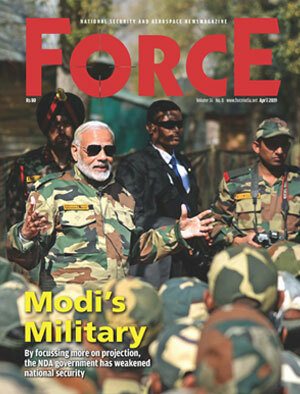 India has a huge requirement of personnel protective equipment like bullet-resistant vests and helmets for its armed forces and paramilitary. What are the solutions on offer from Honeywell? For law enforcement agencies and the armed forces, bullet-resistant vests and helmets are an essential part of their kit. The Indian forces are also increasingly transitioning to body armour that is more protective, with lighter weight and increased flexibility. These materials should be comfortable enough to wear in regions with varied weather conditions, and they must also be easy to conceal beneath an officer’s uniform. Honeywell’s ballistic materials have been trusted to protect military and police forces around the world for more than two decades. For instance, Honeywell Spectra fibre and ballistic composite materials–Spectra Shield, Gold Shield and Gold Flex–are used in a variety of applications where lightweight strength is critical. Our materials can be found in bullet-resistant helmets, vests, plates and vehicles, in addition to industrial and recreational applications including rope and lifting slings, fishing lines, industrial gloves and helmets, and cut-resistant bags. Militaries and law enforcement officers around the world use Honeywell Spectra Shield composite materials for breakthrough armour systems that consistently meet some of the highest global performance standards for protection. The Prime Minister’s Office (PMO) has asked the NITI Aayog to prepare a roadmap for ‘incentivising’ manufacturing of light weight body armours within India, how helpful would this be to Honeywell and the Indian industry in general? Honeywell’s Spectra Shield and Gold Shield materials are used by militaries and law enforcement agencies around the world because they provide superior lightweight strength and comfort compared with other materials. As a global armour materials supplier, Honeywell is interested in supporting the government of India’s efforts to modernise body armour. We will continue to invest in India to support increased demand in military and law enforcement. The Indian Army has recently received 50,000 bullet resistant jackets from MKU to whom Honeywell provides advanced armour materials. Can you elaborate on that? Honeywell works with partners around the world to guide them on how to best utilise our Spectra technology to achieve their product goals. We have been selling this special material to Indian companies like Kanpur-based MKU for more than 10 years, for use in advanced armour materials. One of the bigger challenges facing security agencies is the soldier’s individual load and comfort while offering the required protection levels. How do Honeywell materials help mitigate this problem? Soldiers carry dozens of pounds of gear – the equivalent of a car tyre– while on the job. In addition to firearms, the weight also comes from protective garments and accessories that are designed to hold their equipment. The law enforcement field is transitioning to lighter weight material to ease the overall load that personnel on the field must carry. Honeywell has worked extensively with manufacturers serving these sectors, and our scientists recently introduced a new fabric designed to meet this challenge. Centurion™ is a composite fabric that is designed for a range of applications where the product must be strong, yet lightweight. It is made from Honeywell’s Spectra fibre, a high-performance, polyethylene material weight that is pound for pound 15 times stronger than steel, yet light enough to float on water! When used in tactical vests, Centurion can reduce the vest’s weight by up to 40 per cent. Because of the fabric’s strength and durability, it can be laser-cut according to user preference, resulting in slits along the vests that take the place of the traditional heavier straps that have to be sewn in. The vest is not only lighter and more comfortable for personnel to wear, but also faster and easier for manufacturers to produce. Thanks to Spectra fibre, they are also resistant to cuts, abrasion and water, making them ideal for many tough environments.